Good Morning! I hope this post finds you all enjoying a great week and looking forward to a beautiful weekend. As I mentioned in my posts last week, I have been travelling back and forth to Memphis lately. 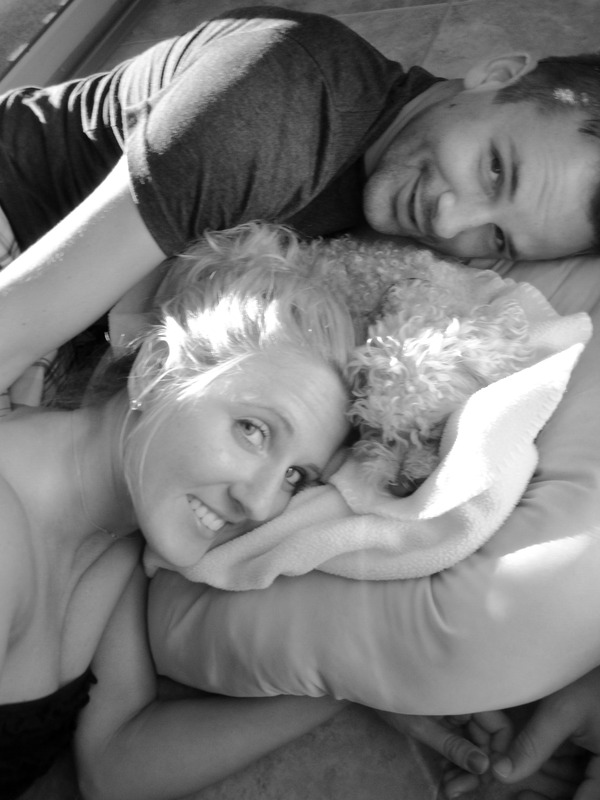 Unfortunately during this time, the love of our lives, Little Miss Ruby Tuesday, has developed Cluster Seizures. 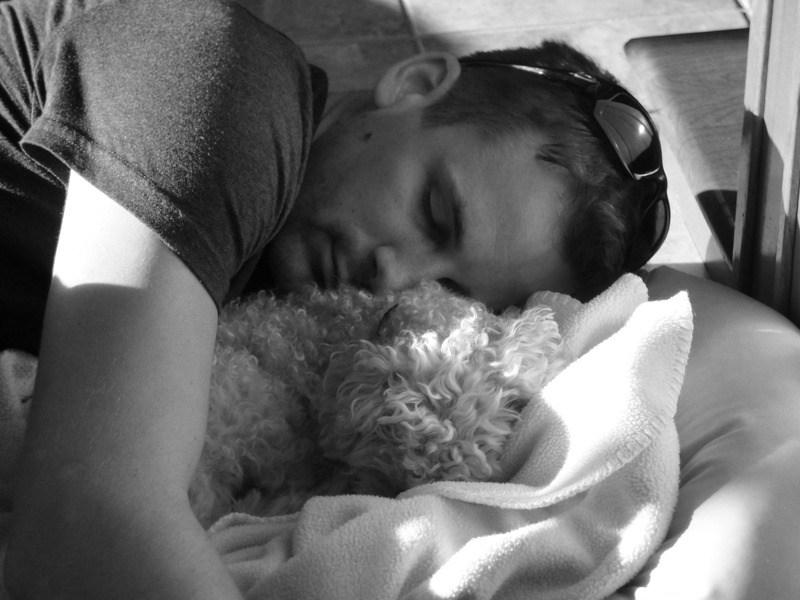 Ruby has been known to experience a seizure every now and then, usually when one of us is travelling. But last Friday, she began having 2-3 seizures a day, sometimes within 3 hours or less. If you have ever been around a friend or family member…or in our case, a dog, who is seizing, you understand the helplessness. Not only is holding her through the seizures frightening and helpless, but it is so disheartening to see a once happy, lively, full-of-personality little being become so quiet and lethargic. Ruby’s vet has prescribed Phenobarbital which has slowed (and possibly stopped) the seizures since late Monday. Now it is just a matter of tolerating the meds and regaining her normalcy. As the “parents” of an animal, it is sometimes hard to comprehend what a huge part these furry creatures play in our lives. But crazy or not, it is substantial. Some people will say, “My whole life is not my dog but my dog makes my life whole.” So true. As I was preparing dinner on Monday night, Ruby had her first of 3 seizures (in a 3 hour span). After I comforted her and laid her in her bed to rest on the floor next to me, I looked down and saw Ryan embracing her. I, of course, melted. How he too, loves that little dog. It was then that I stopped preparing dinner and laid on the kitchen floor with them for just a little longer. Give your children or your pets an extra long hug today…for they are gifts from God. And with that update, I now give you the appetizer recipe that I have been promising since last week. I’m sorry for the hiatus. Homemade pesto…there are so many ways to utilize homemade pesto! As we prepared for a wonderful evening/dinner with our friends Jeremy & Sara early last week, I contemplated what to throw together for an appetizer. Realizing I wanted to use my fresh batch of pesto…while satifsying my craving for caprese salad, I created this tasty pre-dinner snack! On a serving platter, distribute evenly a single layer of wheat thins. 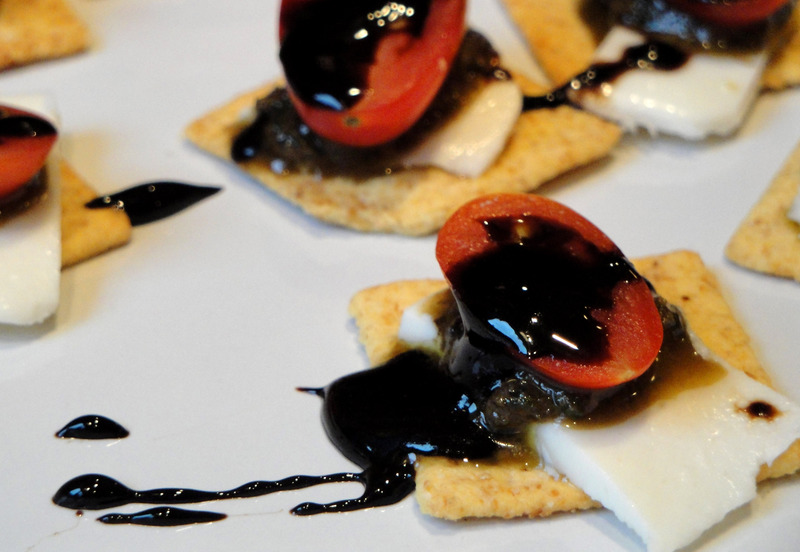 Top each cracker with a thin slice of fresh mozzarella, a dab of homemade pesto, and half of a grape tomato. 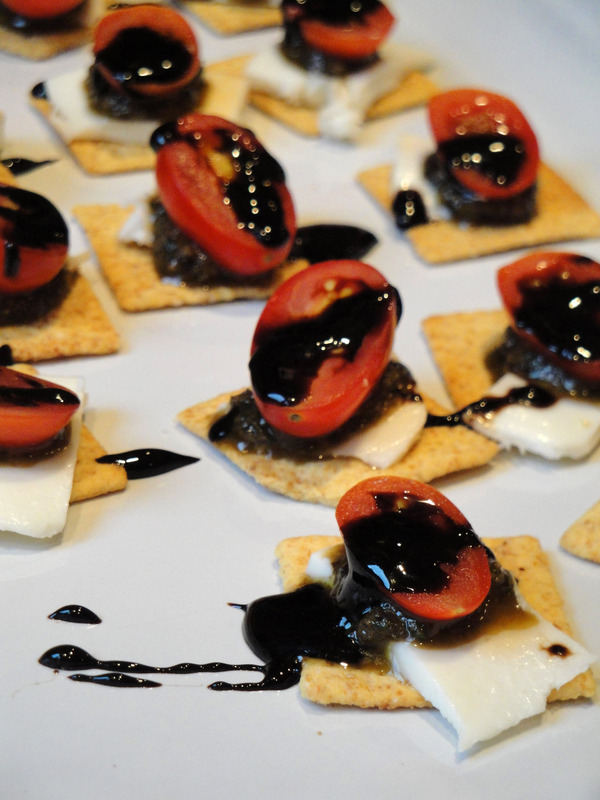 In a small sauce pan, over high heat, bring balsamic vinegar to a boil. Stirring constantly, reduce heat to medium high. Continue to stir until vinegar has reduced by at least half. You will notice that the vinegar becomes thicker. Remove from heat. Cool for 30 seconds. Immediately drizzle over the topped crackers. Place in refrigerator until ready to serve or serve immediately. Delicious, elegant, simple, finger food. Treat yourself…and your dinner guests! Sorry to hear Ruby isn’t feeling well. Yes, dogs to make our lives better in ways we can’t even explain! I am enjoying your blog Robin! Aww. I love Ruby. She has really good parents and is your “kid” for a reason!